It’s only less then a month away til SDCC but that’s not stopping Hasbro from jumping the gun and revealing new Marvel Legends (makes you think of what they will be revealing at the con). Revealed today was the rest of the Thor:Ragnarok wave, which as many people guest are all Movies. Just to update people, at Toyfair 17, they revealed that Jane Foster’s Thor would be released with Young Thor and Ares revealed a few weeks back. They are the only comic book figures for this wave. Today they reveal that these 3 will come with Thor in his Gladiator outfit, Hela and Loki all from the upcoming movie. 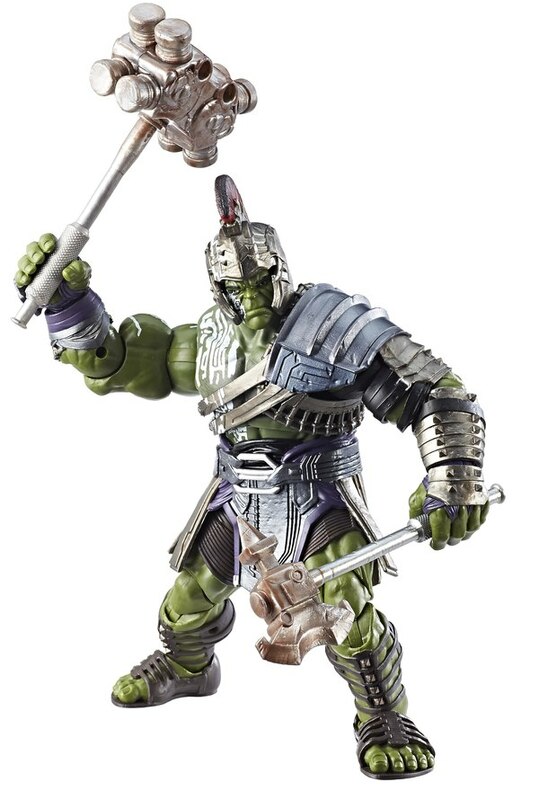 And the BAF of this wave will come to no one surprise, Gladiator Hulk. 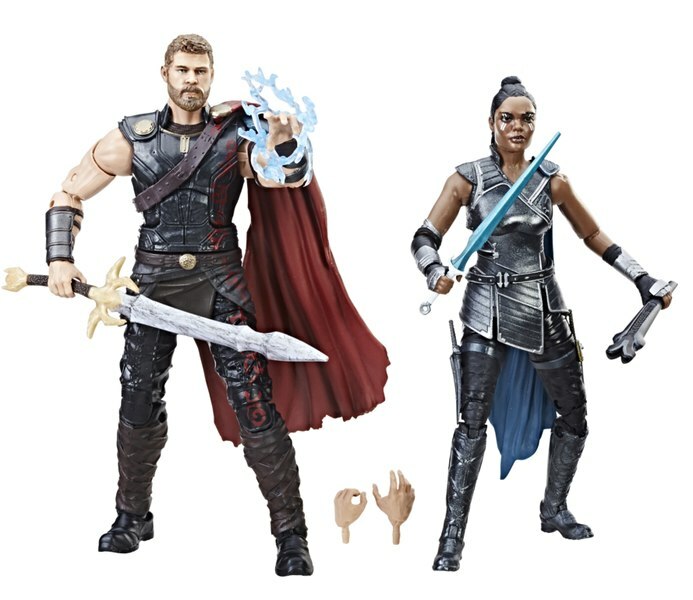 Also revealed was a 2 pack with Thor and Valkyrie.